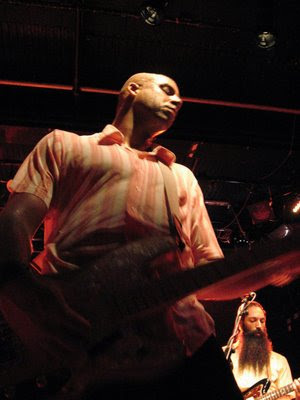 Here's an interview from the Fun Fun Fun Fest in Austin with one of my favorite bands of 2008, Dengue Fever. During the interview they explain how they got the name for their band. A grammy? Woooohoooo! Can't wait to see them again sometime in May. I heard the Fun Fun Fun Fest is awesome - great interview! I would like to go to it some time. btw I'm having a few problems leaving comments on your blog these days, any way I can just use my blogger ID?